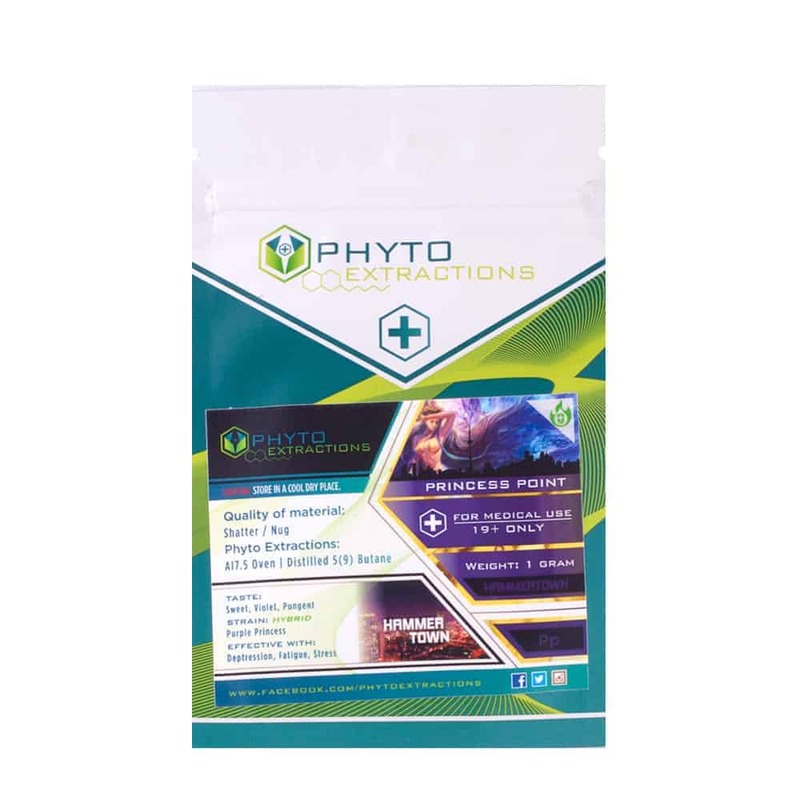 2 reviews for "Phyto – Princess Point – Hybrid Shatter"
5 stars for flavor! Sweet coating around your mouth with a nice floral exhale!! The taste was like no other shatter I’ve ever tried! The high left me feeling floaty and gave me a slight burst of energy. I really enjoyed this strain. Solid shatter , light orange in color won’t disappoint . Thanks goldbuds! !